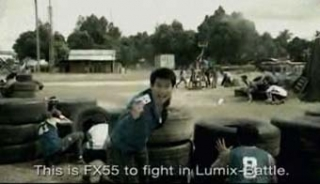 Publicis Thailand formed two teams to battle it out on the streets of Bangkok using Panasonic Lumix cameras. The campaign shows the battle day and the recruitment and training of both teams. Directed by The Glue Society through @radical.media and Matching Studios.